Timbavati has been developed as a fine bean for the pre-pack market. It has been bred in Africa for african conditions. 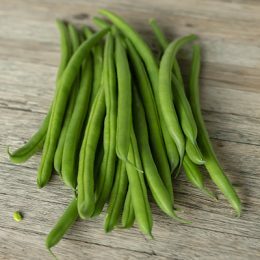 Timbavati yields a very attractive straight bean, with a pleasant green colour. The uniformity of the beans is excellent. The field holding ability of Timbavati is good and seed development is slow. Its disease resistance and vigorous growth are good and top yields can be expected. Makatini has been developed as a fine bean for the pre-pack market. It has been bred in Africa for african conditions. Makatini yields a very attractive straight bean, with a dark green colour. The uniformity of the beans is excellent. The field holding ability of Makatini is good and seed development is slow. Its disease resistance is good and vigorous growth and top yields can be expected. Salima has been developed as a fine bean for the pre-pack market. It has been bred in Africa for african conditions. Salima yields a very attractive straight bean, with a shiny green colour. The uniformity of the beans is excellent. The field holding ability of Salima good and seed development is slow. Salima pods store well under cold conditions and do not turn brown. Disease resistance and vigorous growth are good and top yields can be expected.